Hydronic heating may seem a difficult concept to understand at first sight. After all, what are hydronics and what do they have to do with heating? But hydronic heating is actually a very straightforward concept and nowhere near as complex as it first sounds. Hydronic heating (or cooling, for that matter) is the term used to describe situations where water is used to transfer temperatures instead of another medium such as air. The word 'hydronic' refers to the usage of water in the process. The Hydronic Heating Association states that not only is water the "ultimate transfer medium" but can also be much better for air quality. Older systems that use air can pass dust or other impurities through their system and pollute the air. Hydronic heating doesn't have this defect. Also according to the HHA, hydronic systems use far less water than a similar air pressure system. This is because water can hold up to 3,500 as much heat as air of the same amount can. Hydronic heat is also a type of radiant heating, meaning that the heat a room receives comes from a single source (hence the term 'radiant'). How Does It Works And Why Is It Popular? In hydronic systems, there is a starting point. In most cases, this starting point is a boiler. In the boiler, the water is heated up and the water is then transferred to other sources throughout a location such as radiators. Depending on the house, these sources can also be under the baseboard or along the walls. 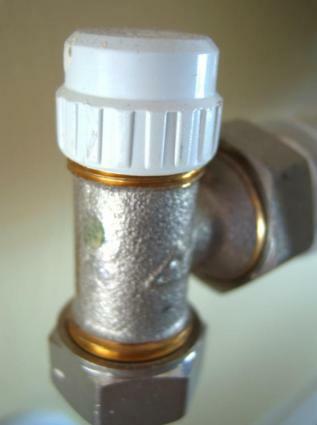 Some older heating systems can use chemicals in order to help in their heating process such as preventing corrosion. The parts use can also in most cases not be recycled. In hydronic systems, water and only water is used in the system. As stated earlier, this also has an effect on the air quality. Most hydronic systems also use plastic tubing that can be recycled. If you have ever lived in a home with conventional air pressure boilers, you are already well aware of how loud they can sometimes be. When air gets stuck or builds up around a bend and the valve is not open wide enough to let the air out, the loud whistling noise the system projects can often be enough to drive a person deaf. However, hydronic systems use only water and do not require the same release mechanisms that air valves do. As a result, there is no worry of loud squeaks or whistles. One of the best things about hydronic heat is that it provides equal heating throughout a room. There are no warm spots or cold spots. There are often no drafts or the like either. This is helpful for users who will find less of a need to constantly change the temperature of a room. Leveled temperatures mean cheaper prices. Often, what causes rises in heating costs are user changes. Hydronic systems take this variable out of the picture. For the homeowner with drafty rooms and uneven heating, installing a hydronic system can be a great way to solve a lot of your problems. In a few days work, you can have a quieter, environmentally friendly heating system that keeps you warm in every room. It's also a great way for some to lower their heating costs without going cold. However, if you are already happy with your heating system, hydronics may not be the best fit for you at this time. The initial output cost can be difficult for some and if you are already happy, there may not be enough motivation for to change. If this seems to fit your situation, try and see if there is a simple way to change your system over or incorporate more environmentally friendly fixtures into your system.